Discussion in 'General' started by The Fresh Prince, Mar 21, 2019. I didn't post shirts because I'm just going to wear long sleeve button down and collared shirts. wayniac211 and ahat20 like this. akajae and The Fresh Prince like this. State workers dress like bums so you should be fine. Fozzy Badfeet, ronaldo nazario, Nereyda Vuelve Por Dios and 4 others like this. Waddup OP you’ll be ok. Don’t know about those vans. Looks uncomfortable. What’s good with the plug. Been trying to get in state in Sac.. The Fresh Prince likes this. jaypesoz and The Fresh Prince like this. I'm doing alright and thank you. All I did was fill out the application, specified that I had a sociology degree, and had good references (one of them worked for DSS as well a while back). I just hope I do a good job; I'm nervous. Soon, one I have a few paychecks under my belt and thank you! Just show up and get a sense for what flies in your office. Do that for 6 months and then wear whatever you want. The Fresh Prince and wayniac211 like this. Congrats on the job OP! GOV needs more sociology/behavioral science cats in their programs because we few in many these days. You’ll probably be around a lot of women especially in human services/adolescents. Be very careful with humor and don’t smash your colleagues. Wear some nice cologne too (don’t overspray). Thank you, I appreciate it. This is a stepping stone in life for me and I just want to take it seriously since I'm working for the state. Can’t get anymore serious looking than wearing skinny chinos and vans. You should rise up the ranks pretty quickly. Congrats. shotsrangout and The Fresh Prince like this. This. Social work is hell. You're gonna have bigger fish to fry than selecting pants. Congrats and good luck though. Noble gig, but it's probably gonna destroy any faith you have in humans when you see how they treat kids. You’ll be fine. I would wear shoes first day or even loafers to get a lay of the land. Polo should be good to go. Just take whatever test you need to take for a given position and apply apply apply. If you can though I'd try finding a job elsewhere. Been with the state almost 3 years here in Sacramento and I have not enjoyed one day of it. wayniac211 and getback like this. Be good at your job and it won't matter what you wear. You think LeBron thinks about his dress code whilE working? 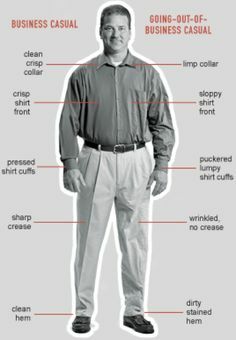 I'd personally wear dress shoes first when starting a new office job. Same. Never underestimate the power of a positive first impression. Bruh, 99.9% Business Casual is the answer. Even if it isn't, it is. Do we need to sticky this?!? I dont understand how someone gets an office job and asks about wearing vans to work on the first day.